How do you know when your child needs a tutor? Are their grades slipping? Do they have trouble managing time? Can you see the frustration on their face when they do homework? These are all signs that your child needs help and support from a qualified tutor. Once the decision has been made to hire a tutor, an even harder decision awaits- choosing the right tutoring service. Several types of academic tutoring services are out there, all with different tutoring styles. So, where do you start? Which one should you pick? How do you know if the tutor will actually help? Below are 5 steps to help you find the perfect tutor for your child. 1. Determine the type of support your child needs. 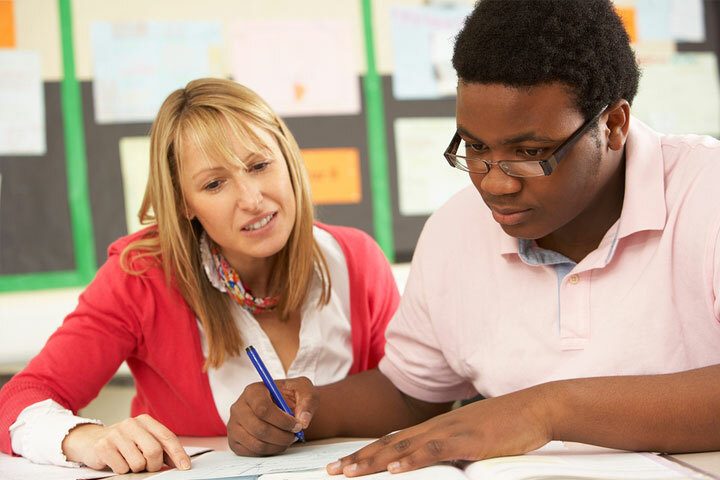 Tutors may specialize in certain subjects, while others may have experience working with children who have learning disabilities. The first step should be determining what type of help your child needs to succeed in school. Be honest here, it will only help your child. 2. Look for a qualified academic tutor. If you are looking for a tutor in Chicago, you want someone with the right experience behind them. Tutoring service companies like Chicago Academic are a great choice. They take the time to ensure that their tutors are qualified, and have an approach to tutoring that has been proven to work. 3. Find someone with expertise in the right subject. Once you have chosen a company, you want to find the right academic tutor. Inquire with the director or owner of the company about tutors who have a background in the specific subject your child is struggling with. 4. Interview the tutor. Though the tutoring company screens their tutors for you, it’s important to talk to the tutor to ensure that your child meshes well with him or her. Conduct a short interview, and focus on asking how he or she will help your child master the specific subject. 5. Work on building trust. An academic tutor is someone who will help nurture your child’s intellectual growth. A tutor has an important role in your child’s academic career, you want to have mutual respect and trust. It may take a few sessions, but soon you should be comfortable with the steps he or she is taking with your child and trust that you are headed in the right direction.